The Diamonds ETF moved above its annual pivot at $257.95 with a weekly risky level at $267.49 with the all-time intraday high at $269.28 set on Oct. 3. The Spiders ETF moved above its annual pivot at $285.86 with a weekly risky level at $292.03 with the all-time intraday high at $293.94 set on Sept. 21. The QQQs ETF is well above its monthly pivot at $174.32 with a weekly risky level at $185.95 with the all-time intraday high at $187.53 set on Oct. 1. The Transports ETF is above its 200-day SMA at $189.02 and remains below its annual risky level at $196.35. The Russell 2000 ETF tested its annual risky level at $157.49 on Friday with its quarterly risky level at $166.04. 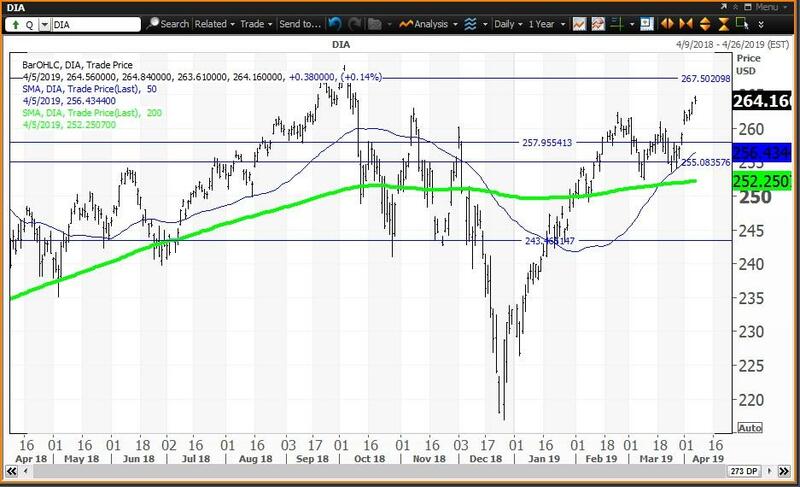 Today I show the daily charts with their key technical levels. The Diamonds ETF is in bull market territory 21.5% above its 2018 low of $216.97 set on Dec. 26 and is 2.1% below its all-time intraday high of $269.28 set on Oct. 3. Remember that Dec. 26 low was a "key reversal" day as the close was above the Dec. 24 high. My annual, monthly and semiannual value levels are $257.94, $255.08 and $243.47, respectively, with weekly and quarterly risky levels at $267.49 and $279.04, respectively. The Spiders ETF is in bull market territory 23.5% above its Dec. 26 low of $233.76 and is 1.6% below its all-time intraday high of $293.94 on Sept. 21. Remember that Dec. 26 was a "key reversal" day as the close was above the Dec. 24 high. 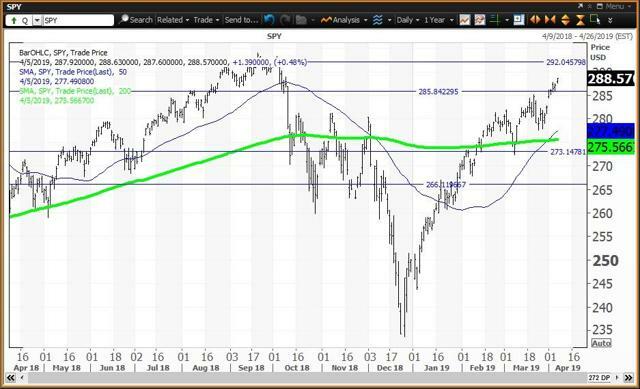 My annual, monthly and semiannual value levels are $285.86, $272.17 and $266.14, respectively, with weekly and quarterly risky levels at $292.03 and $297.56, respectively. The QQQs ETF is in bull market territory 28.7% above its 2018 low of $143.46 on Dec. 24. QQQ is just 1.5% below its all-time intraday high of $187.53 set on Oct. 1. 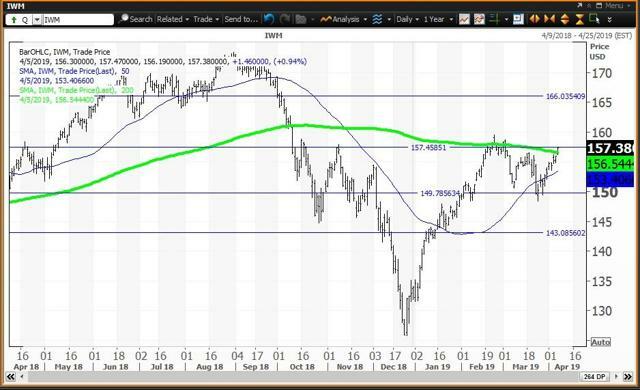 My monthly, annual and semiannual value levels are $171.67, $169.27 and $167.53, respectively, with weekly and quarterly risky levels at $185.96 and $194.29, respectively. IYT is 24.3% above its 2018 low of $155.24 set on Dec. 24. The ETF is 7.8% below its all-time intraday high of $209.43 set on Sept. 14. My monthly and semiannual value levels are $177.59 and $159.63 with annual and quarterly risky levels at $196.35 and $204.78, respectively. 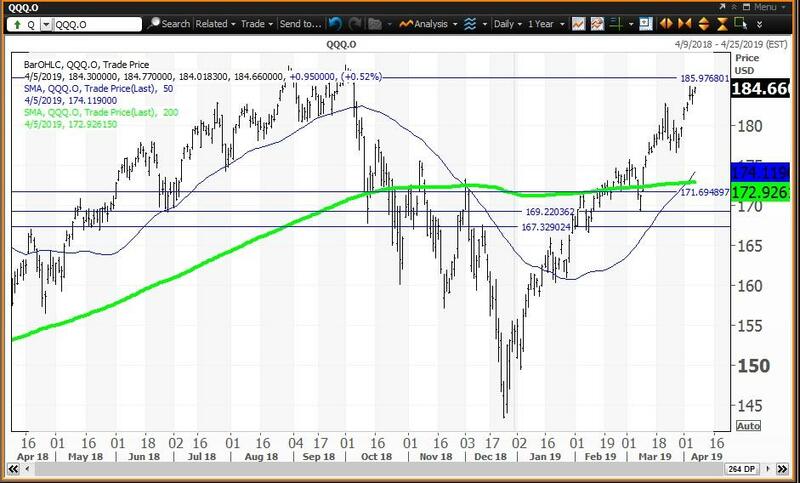 IWM is 25.1% above its 2018 low of $125.81 set on Dec. 26 and is 9.2% below its all-time intraday high of $173.39 set on Aug. 31. 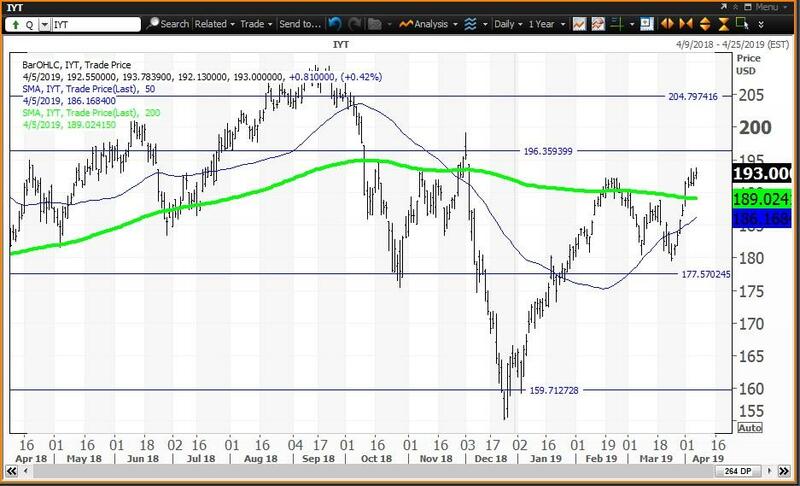 My semiannual and monthly value levels are $149.77 and $143.05 with my annual pivot at $157.49 and my quarterly risky level at $166.03.